Hi all, thank goodness its Friday!! For those of you who don't know, I recently moved house to the village of Aston Le Walls. Its only about a mile from where I lived before, but its a larger house with much more space (which we desperately needed)! Anyway, I now have a lovely craft room that I have been trying to sort out, and whilst doing so ive also taken a bit of time out to make a couple of bits and pieces! Very simple I know, but my 'Bee Happy' card is made using some of the new items from the Spring/Summer 2013 catalogue (please see the link on the right hand side of my blog). 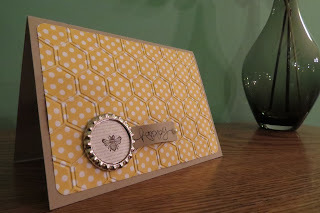 I am loving the new Honeycomb Textured Impressions Embossing Folder, which matched perfectly with the little Honey Bee from the Collage Curios Stamp Set. I then teamed it up with one of the Soda Pop Tops, which I 'squished' using my Big Shot. Just sandwich it between your 2 clear plates, and roll it through. 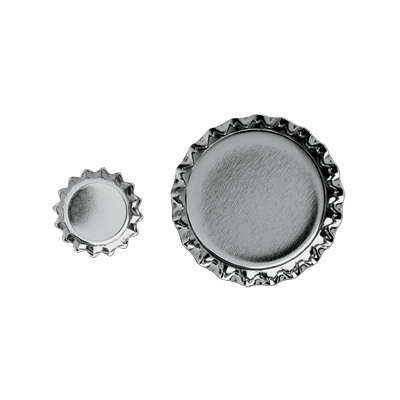 They come in 2 different sizes (8 of each) and co-ordinate perfectly with the 1" Circle Punch. The 'Happy' sentiment came from the Bloomin' Marvelous Stamp Set which is available from the SAB catalogue. For every £45 you spend, you could get this stamp set for FREE!! The whole stamp does say 'Oh Happy Day! 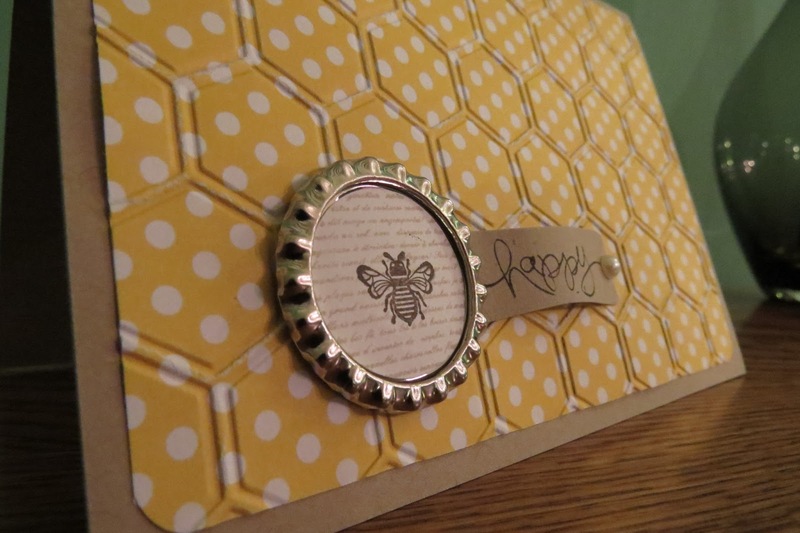 ', but by using one of the Stampin Write Markers, you can select which bits you want to stamp with. Hope you like it anyway.....a nice simple card that can be used for any occasion! 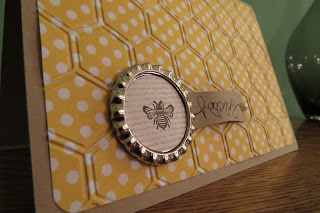 Come back on Sunday morning for more little ideas, as im taking part in the Pinkies Spring/Summer 2013Weekend Blog Hop.